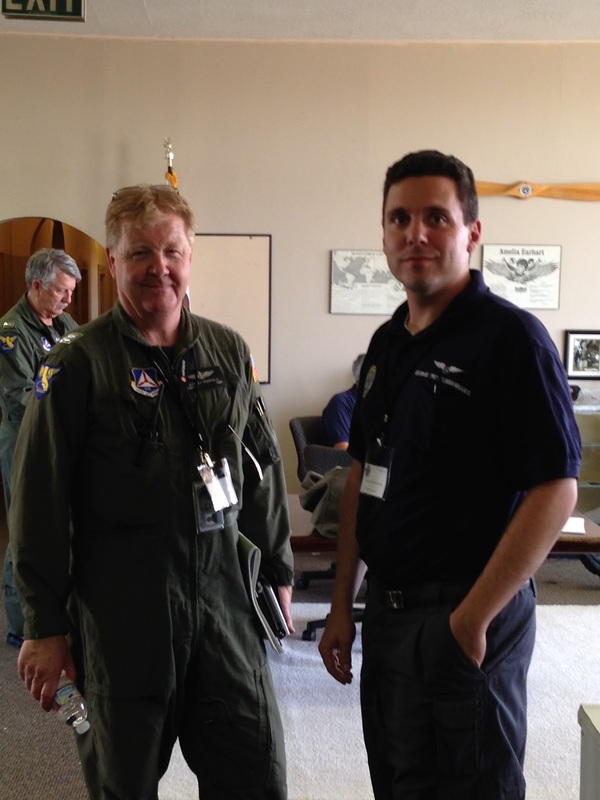 On July 14th, Maj Jeff Ironfield and Capt Georgios Michelogiannakis led the squadron’s aircrew members in a discussion about professionalism, on the ground and in the air. Maintaining professional behavior while engaged in CAP activities or in any way representing CAP is critically important for creating and maintaining a positive reputation in the eyes of the public as well as new and fellow members. Our collective behavior reflects not only on ourselves as individuals. It also reflects on our squadron, our Group, our Wing, CAP as a national organization – and even on the US Air Force, particularly when we are wearing Air Force style uniforms. Professionalism here includes the whole range of behavior such as customs and courtesies, grooming standards, and how we interact with each other and with the public. Professional behavior also contributes very directly to staying safe both on the ground and in the air. In the discussion, we reviewed several aircraft crashes that could be traced back in part to lapses in professionalism, with fatal results. Most of the time, any lapses in professionalism, of course, result in lesser incidents and survivable lessons to be learned. Have you ever taken a shortcut in obtaining a weather or other briefing, in providing a passenger briefing, or in other aspects of preflight planning? What about in maintaining your personal minimums and CAP safety standards? Even if inadvertently, have you ever pressured a fellow aircrew member into hurrying their part of the assignment, perhaps because you were already ready with yours? Could that have had any impact on mission safety? Remember that one time when you didn't think through clearly enough what to say to ATC before you keyed the mike? No doubt most of us aircrew members can think of examples where we have fallen short in some manner. I know I can. The key is to keep learning and keep striving for excellence. Lessons can be learned from good examples as well! Someone behaving particularly professionally can serve as an outstanding role model to be emulated. Several squadron members shared stories of behavior – their own and others’ – of particularly professional behavior and – for learning purposes - of behavior that may have may have presented opportunities for improvement. Speaking of professionalism: kudos to our squadron for creating a safe environment where members can share stories of things they would have done differently, to help everyone learn without anyone being judged for it. Thanks to all members for contributing to this safety and learning culture.